Key West has long been known as one of the more accommodating vacation destinations to bring your pets. Many lodging properties will accept them. Some of the open air restaurants go as far as to leave bowls of water out. The Gardens Hotel estate houses 23 luxurious guest suites and cottages amidst one of Floridas oldest and most respected tropical gardens. 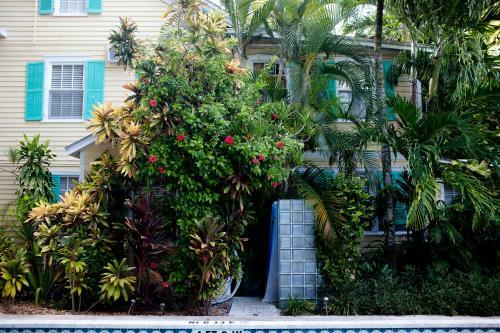 Once the largest private estate in Key West, the expansive grounds of The Gardens Hotel comprise over an acre of lush, tropical landscaping just steps away from Key Wests infamous Duval Street. The property has a very central location making it ideal for those who plan to get from place to place without a car. 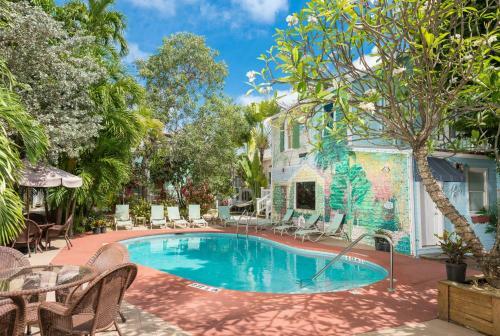 The Gardens Hotel is located at 526 Angela Street, Key West, FL 33040. This is a 1 minute walk from Duval Street and 13 minutes from Mallory Square. The Historic Seaport area is a 11 minute walk away. You can walk to Higgs Beach in 22 minutes and Smathers Beach in 46 minutes. The Reach Resort Waldorf Astoria is located at 1435 Simonton Street, Key West, FL 33040. This is a 5 minute walk from Duval Street and 25 minutes from Mallory Square. The Historic Seaport area is a 22 minute walk away. You can walk to Higgs Beach in 13 minutes and Smathers Beach in 37 minutes. 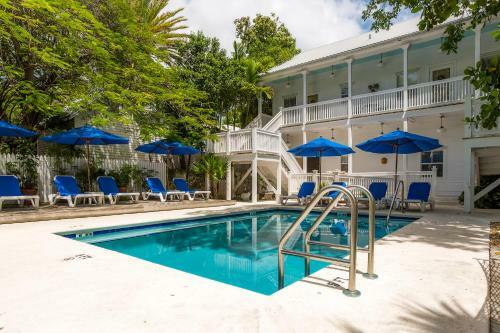 Set on 7 acres in Key West, Florida, Best Western Key Ambassador Resort Inn boasts a heated oceanfront pool with a view of the Atlantic Ocean and a sun terrace. The property offers 100 luxurious, spacious, modern rooms complete with dressing area. Tastefully decorated, the propertys tropical splendor carries through to the rooms. Local art compliments the pastel colors in each room. Many of the rooms boast a water view, some over look the pool, while others provide a sweeping view of the Atlantic Ocean. 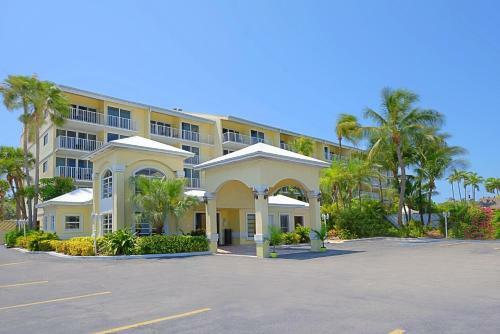 Best Western Key Ambassador Resort Inn is located at 3755 South Roosevelt Boulevard, Key West, FL 33040. This is a 75 minute walk from Duval Street and 78 minutes from Mallory Square. The Historic Seaport area is a 76 minute walk away. You can walk to Higgs Beach in 53 minutes and Smathers Beach in 22 minutes. 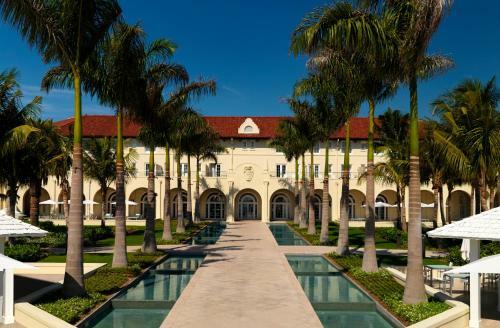 Casa Marina – A Waldorf Astoria Resort is located at 1500 Reynolds Street, Key West, FL 33040. This is a 12 minute walk from Duval Street and 32 minutes from Mallory Square. The Historic Seaport area is a 26 minute walk away. You can walk to Higgs Beach in 2 minutes and Smathers Beach in 26 minutes. You will find The Seaport Inn private, cozy, comfortable and to have one of the best locations found on the Island. Come and relax in the tropical garden or take a plunge in the heated pool or just smell the ocean breeze from your balcony and the Jasmine in the air. Located near the seaport in Old Town. Seaport Inn is located at 329 William Street, Key West, FL 33040. This is a 11 minute walk from Duval Street and 11 minutes from Mallory Square. The Historic Seaport area is a 4 minute walk away. You can walk to Higgs Beach in 24 minutes and Smathers Beach in 45 minutes. Spacious, tropical-themed rooms, two-room suites, two-story town homes, and a two-bedroom, two-bath cottage. Each unit has a private bath and private entrance (most with French doors) that opens onto intimate outdoor spaces, including private verandas, pools, patios and luscious gardens accented with fountains and sculptures. Ambrosia Key West is located at 622 Fleming Street, Key West, FL 33040. This is a 3 minute walk from Duval Street and 11 minutes from Mallory Square. The Historic Seaport area is a 6 minute walk away. You can walk to Higgs Beach in 23 minutes and Smathers Beach in 48 minutes. These apartments feature an outdoor swimming pool and on-site tennis courts. A fully equipped kitchen comes in each apartment. A microwave, refrigerator and oven are standard in each kitchen at Sunrise Suites Resort. Guests can also enjoy BBQ grills, concierge services, as well as laundry facilities. Sunrise Condo Suites is located at 3685 Seaside Drive, Key West, FL 33040. This is a 84 minute walk from Duval Street and 90 minutes from Mallory Square. The Historic Seaport area is a 82 minute walk away. You can walk to Higgs Beach in 67 minutes and Smathers Beach in 22 minutes. The Wicker Guesthouse compound occupies a full block and includes six houses that were converted into 24 individual rooms with private entrances and bathrooms. The rooms surround a heated swimming pool and patio with lounge chairs and hammocks. 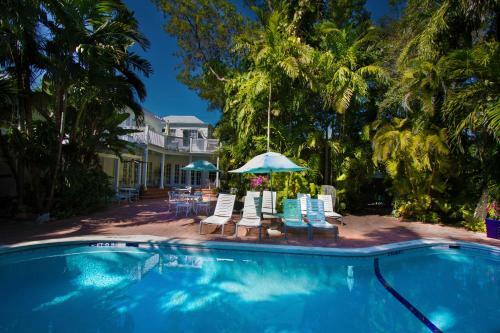 Located on the most iconic street in Key West, but you will find privacy, seclusion and quiet once you step onto the property. Wicker Guesthouse is located at 913 Duval Street, Key West, FL 33040. This is a 4 minute walk from Duval Street and 15 minutes from Mallory Square. The Historic Seaport area is a 16 minute walk away. You can walk to Higgs Beach in 20 minutes and Smathers Beach in 45 minutes. 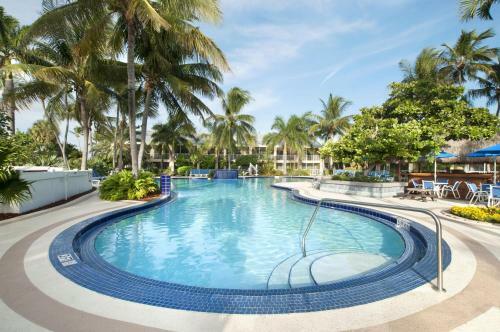 Immerse yourself in incomparable luxury along the Florida coast at Hyatt Key West Resort and Spa. This hotel offers contemporary elegance in a dream location. Explore the picturesque Old Town area just minutes from the resort then return to their oasis for unparalleled sophistication in every regard – from a pampering spa and all new 24 hour fitness center to lavish guestrooms and delectable dining. Hyatt Key West Resort & Spa is located at 601 Front Street, Key West, FL 33040. This is a 3 minute walk from Duval Street and 4 minutes from Mallory Square. The Historic Seaport area is a 2 minute walk away. You can walk to Higgs Beach in 34 minutes and Smathers Beach in 54 minutes. Southernmost Sanctuary is on the south side of the island about one block from Duval street. 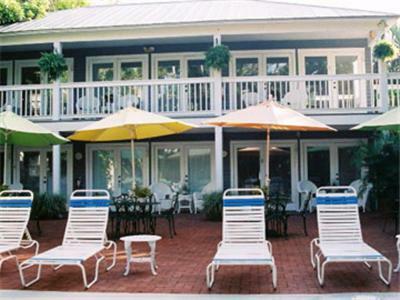 Contact Key West Vacation Rentals regarding minimum stays and special rates. Minimum stay requirements apply on weekends (at least 3 nights), Winter/Spring season (January 2nd – April 30th – 5 night minimum). Southernmost Sanctuary is located at 1330 Simonton St., Key West, FL 33040. This is a 3 minute walk from Duval Street and 24 minutes from Mallory Square. The Historic Seaport area is a 21 minute walk away. You can walk to Higgs Beach in 12 minutes and Smathers Beach in 36 minutes. Accommodations offer an extended continental breakfast, A/C, fans, cable TV, clock radios, phones with free local calls, free internet access, daily maid service, irons, hair dryers available at office. Cottages are fully equipped, outdoor barbecue area, Off-street parking available, bike rentals on premise, concierge service. 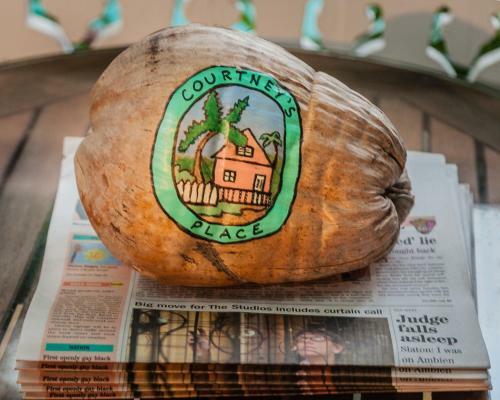 Courtneys Place – Historic Cottages & Inns is located at 720 Whitmarsh Lane , Key West, FL 33040. This is a 4 minute walk from Duval Street and 15 minutes from Mallory Square. The Historic Seaport area is a 10 minute walk away. You can walk to Higgs Beach in 20 minutes and Smathers Beach in 45 minutes.